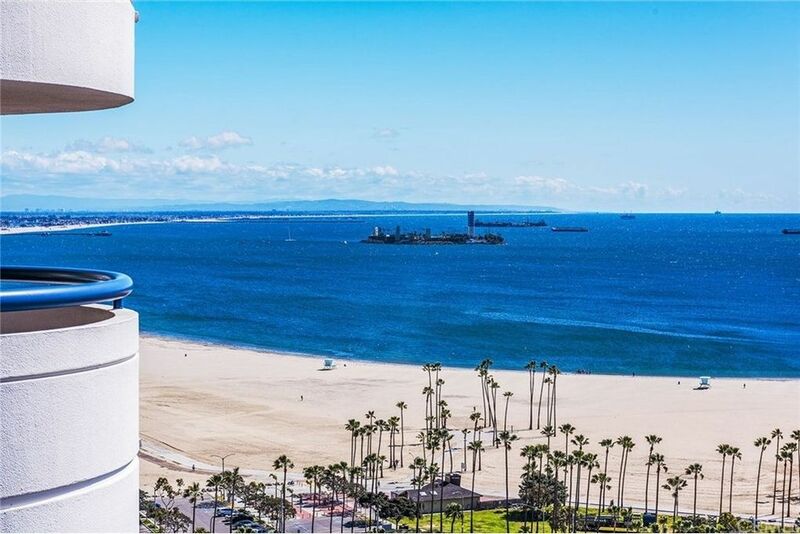 A rare opportunity awaits to lease this recently completed renovation of this 21st floor panoramic Ocean view home in the Harbor Place Tower! This designer home offers the premiere locations in the complex with a nice balcony and some of the best views in the city!! The recently completed interior upgrades and finishes are sure to impress. This executive residence offers unmatched views from every room of Catalina Island, ocean, marina, Queen Mary, mountain and city views! The kitchen has been extensively upgraded with stunning custom cabinetry, high-end stainless finished appliances, gorgeous kitchen Quartz counter tops and more! The master bath has also been remodeled and offers and gorgeous soaking tub, separate walk in shower with custom tile work and stunning dual vanity with custom quartz counter top and new cabinetry! The 2nd bath has been appointed with custom tile work that adorns the walls and flooring. The stunning new flooring and baseboards throughout look beautiful and are a terrific designer touch. The Harbor Place tower offers: 24 hr guard, gym, pool, spa, sauna & more! This home also has a rare 2 parking spaces. The newly renovated lobby area is simply stunning!